At Webanywhere, we know that above anything else, customers choose us for our people. When you choose Learnanywhere, we ensure you have complete support from the day you sign up. 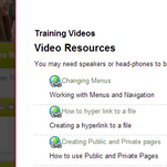 Once your Learnanywhere VLE is ready to go, we’ll set up a full training session. 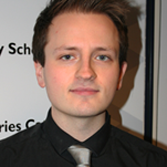 Our trainers, like Andrew (pictured) have a wealth of e-learning knowledge and know everything there is to know about Learnanywhere. To help you even further, follow-up training sessions, including a visit to your school, can be purchased. As a Webanywhere customer you will be entitled to unlimited, around-the-clock support. Our team are available via phone, email or online chat - so if you get stuck using Learnanywhere at any time, help is always at hand. 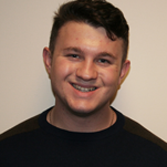 Josh (pictured) and the rest of our team are also available to help with any questions or issues you have when using Learnanywhere. Our Customer Training Centre (or CTC) is open to any Webanywhere customer - and includes a large database of help sheets and videos, all about getting the most from Learnanywhere. As well as this, we regularly publish free guides and teaching resources, to provide a little extra help when you become a Learnanywhere user. 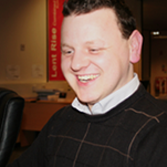 Mike (pictured) heads up the team of Webanywhere account managers - one of which will look after your Learnanywhere account with us. From time to time they may call you to see how you're getting on with Learnanywhere, and will also keep you updated with the latest Webanywhere product news and developments.